Posted: Sat Mar 03, 2018 3:24 am Post subject: Shaggy. First $9500 takes it. Email my Comcast address, flyinlionracing. 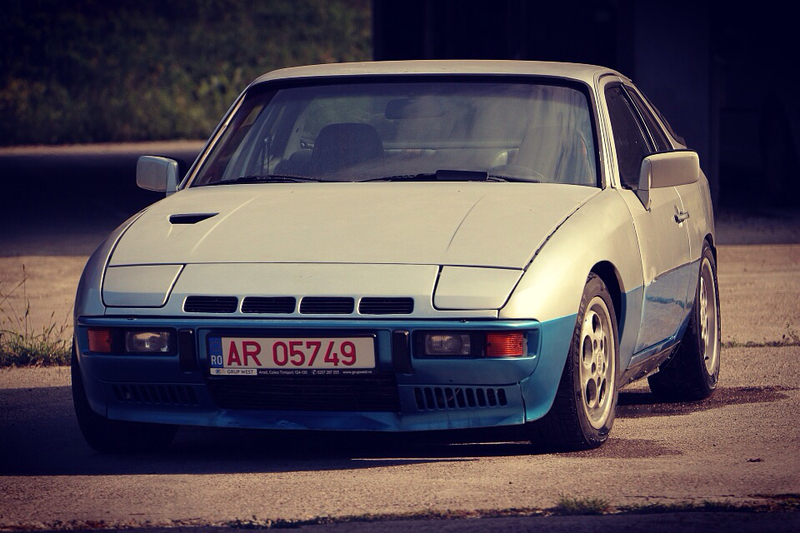 One of the best-sorted 924/931 I've had the privilege of driving. Bump for awesome car and good luck with sale. I bought the car in 2007. It was in an estate, and had been stored since the late 80's. It showed 58k on the clock. I rebuilt the engine and turbo, and the odo now shows 78k, but it is broken. If I had to guess, I would say it is in the 90s. The car was enthusiast owned, therefore shifts perfectly! I think most crappy snail shell transmissions are from abusing owners. The car tolerates 12psi of boost on a daily basis. That pencils out to around 220 HP. Engine: JE pistons (3 way ceramic coated), IJ crank scraper. Complete professional build by Loyning in Portland (official supplier of ALL Formula Atlantic engines back in the day). Head: Integral cam, solid lifters, ceramic coated combustion chamber, valve faces, and ports. Intake ports opened and polished. S2 exhaust manifold, ceramic coated. Ceramic coated j-pipe with flex. Downpipe has flex as well. Turbo: Majestic rebuilt. Ceramic coated hotside. Fuel system: fuel distributor & wur rebuilt. New injectors. High volume pump. Custom SS fuel lines throughout. Intercooler: air/water in the battery box. Battery relocated to RR storage compartment. S2 intake (ceramic coated). Cooling: Ron Davis radiator, custom fan shroud with high quality fans. Charging: Red Top Odyssey, with Ideola high output alternator. Brakes: rebuilt/restored Brembo package from 86 951. Suspension: Koni sports, 350# coilovers, 27mm t-bars. T-bar carrier powder coated, all suspension hardware restored and zinc'ed. Re-bushed with poly. Interior: some problems from leaky hatch. Rear interior quarter upholstery needs replaced. Front seats recently redone with correct German pasha. Dash OK, but not perfect. This is one of the best daily driver, non-Ideola 931s in the US. It has been from Portland to San Diego, to Joshua Tree, Sears Point (x2), Laguna Seca (x10) problem free. It is a great highway cruiser. It also has epic grip, and it will embarrass people on the track (but I am also a pretty good driver). You can ask Dan about the car, he has driven it. This car is a STEAL at $8500. Best of luck with the sale Rasta. If I wasn't on a very serious house hunting mission right now I'd be sorely tempted to grab this from you as I KNOW I couldn't duplicate it, starting from scratch, for any where near what you're asking for it! This is a steal! Per request of an interested party, I've added pictures to the album above. New pics detail body damage, dash cracks, and water damage to the rear interior quarters. I'll start buying scratch offs. Not normally how sales work . . . Sounds to me like someone has seller's remorse.